Mindfulness and mindfulness meditation, is getting lot of attention in science and the media. It is being extensively researched and promoted as a beneficial well-being practice. Mindfulness involves training your attention to stay in one place and attend to the process of experience. This is simple, but not easy, the human mind has a tendency to jump from place to place which can make staying in one place quite challenging. 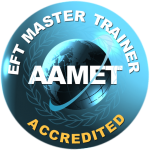 EFT can be used to help mindfulness to by making it easier to maintain attention and easier to process whatever comes into attention. 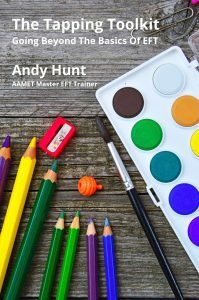 Join Andy Hunt on Wednesday 9th April to learn a simple mindfulness meditation technique and apply EFT to work on the blocks and distractions to meditating. You don’t need any previous experience of mindfulness meditation to attend this course, however it is useful if you have experience of EFT. The EFT Café is on from 7pm to 9pm and costs £10 (tea and biscuits supplied).